Effective against finrot, white spots, cloudy eyes, rapid breathing and many more. Tetra Medica Goldmed is a fast acting treatment for diseases in goldfish. 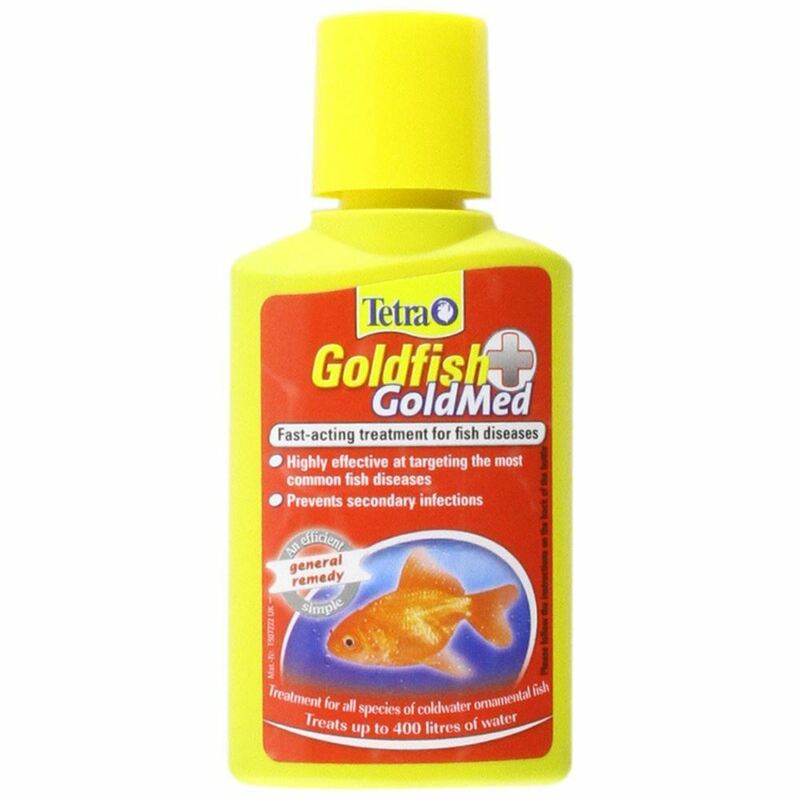 Goldmed is an effective and fast acting treatment that can be used to treat many dieseases effecting goldfish. From White Spot, damaged fins and lethargy to wounds, cloudy eyes, rapid breathing and clamped fins. The treatment supports the healing of wounds and prevents secondary infections from appearing. Add 5ml per 20 litres 4.4 gallons of aquarium water. Treatment should be repeated at weekly intervals. Prior to redosing it is advisable to perform a 2030 water change using tap water conditioned with TetraFin AquaSafe. In addition to adding GoldMed we would recommend that you seek advice as to any possible underlying causes.